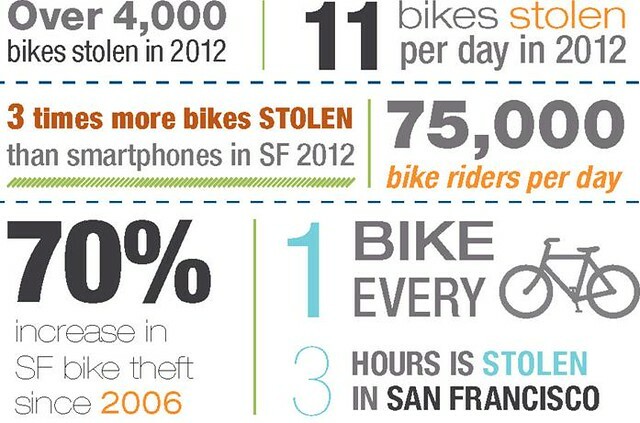 I was more than a little alarmed to read the statistics for stolen bikes in San Francisco. In 2012, one bike was stolen every three hours. Over 4,000 bikes were stolen in that year alone. And of the bikes that were recovered (about 850), less than 17% of bikes found their way back home. So many lonely bikes and wheel-less bikers! Thankfully a new and free bike registry — SAFE Bikes — aims to improve those numbers. According to a recent update from the SF Examiner, a San Francisco police advisory board and safe-streets advocates are launching the free registration program this month to help reunite bikers with stolen bikes. 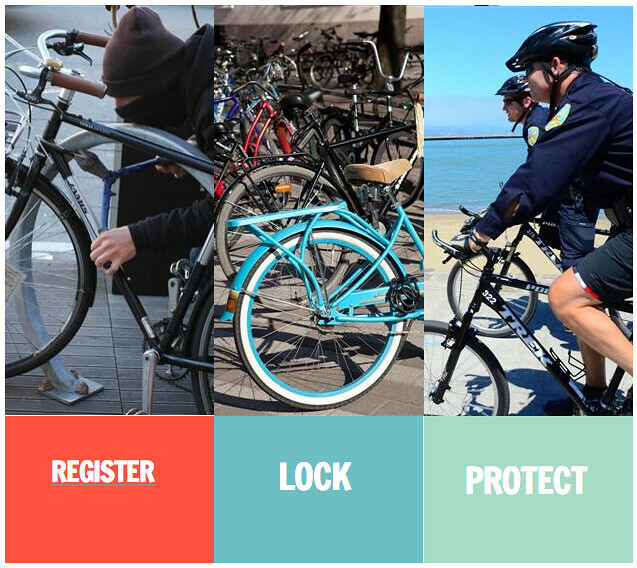 The SAFE Bikes program allows riders to register a bicycle’s serial number, make/model, and color into a secure database that’s connected to the police department. The owner will receive a unique and permanent ID tag to place on the frame. If a registered bike is ever stolen and recovered, SAFE will identify the bike and contact the owner. A quick survey of some of my fellow San Francisco bike commuters (ok, a group of friends at a dinner party) reveals that not a-one has registered his or her bike. That goes for me, too. This particular group of riders use bikes as a main form of transportation around the city, and we’re not naive—we are well aware of the dangers, even of just leaving your beloved bike locked up in front of a bar while you run inside for a quick pint of Pliny the Younger. But I believe SAFE bikes will go a long way to overcome these registration issues. In fact, I’m leading the way––I’ve registered my bike. And it was easy! Is your bike registered? If so, what program have you registered with? Does it provide you peace of mind? Also, side note, SAFE has a great graphic showing the best method for locking up your bike. Check it out.